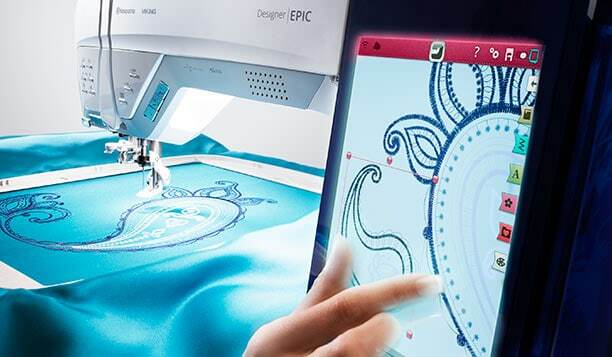 Our reimagined Husqvarna Viking Designer Epic ™ sewing and embroidery machine tailors the sewing experience around your wants and needs through a Tablet-like screen, WiFi, 120 Step-by-step animated and illustrated tutorials, and much, much more. The result is a brand new sewing experience where your own creative exploration can come to life in special ways. Select fabric type and get a wide selection of available sewing techniques, from basic to detailed sewing. 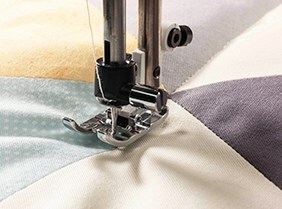 JoyOS Advisor™ feature will instantly set the best stitch, stitch width, stitch length, thread tension /portioning and presser foot pressure for the technique you’ve chosen. Animations and illustrations will also assist you and provide expert advice right on the screen. 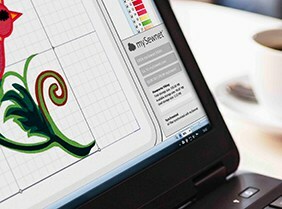 mySewnet™ services cloud allows easy access to embroideries from multiple devices, including your computer, tablet or DESIGNER EPIC™ machine. They will always be synchronized and available whenever you need them via WiFi. 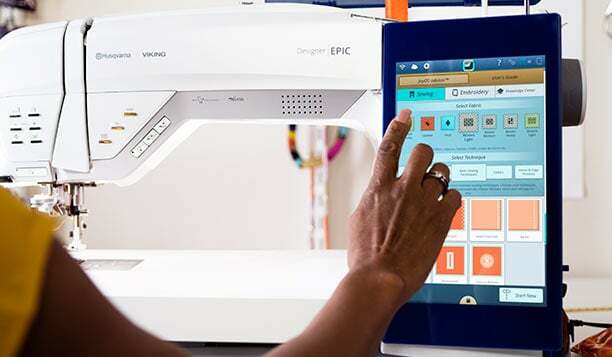 The free App – mySewMonitor – provides you with real time updates on the status of your embroidery even when you’re away from your Husqvarna Viking Designer Epic ™. gestures. 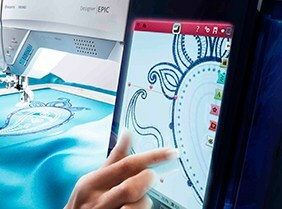 First and only brand with interactive tablet-like screen. Drag and drop on screen, zoom, rotate, pinch, swipe and spread, just like on any tablet or smartphone. home dec projects or fashion. 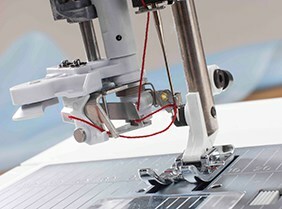 Embroider up to 360x260mm, non turnable*. Largest sewing area, more than 12” x 5 1/2” (310x140mm) work area. 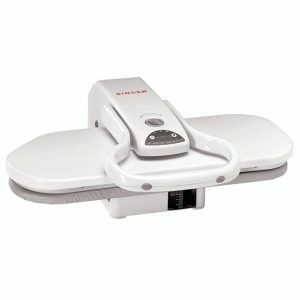 With one touch of a button your needle is threaded and ready to sew with the built-in fully automatic needle threader. Hassle-free threading every time! 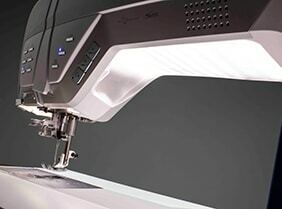 The Husqvarna Viking Designer Epic ™ machine has a 30% larger bobbin than our previous machines, enabling you to do more sewing and embroidering before it’s time to change your bobbin. 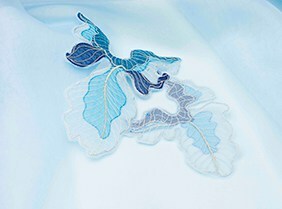 Achieve more beautiful embroidery than ever, even with challenging metallic threads. 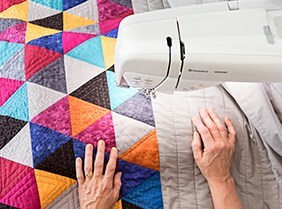 Thanks to the industry-first deLuxe™ Stitch System you get gorgeous stitch results on both sides, regardless of the fabric type. 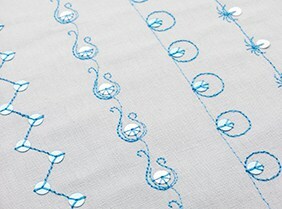 HUSQVARNA VIKING® world class unique stitches for more creative opportunities. 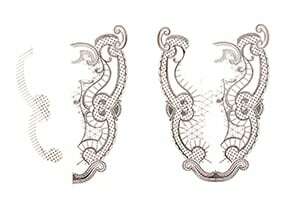 ”Sequin stitches”, “Theme stitches” plus Dimensional stitches. The EXCLUSIVE SENSOR SYSTEM™ technology automatically and continuously senses and adjusts for any fabric thickness – resulting in a perfect even feed. With the brightest*, most even LED-lights on the market, you can achieve the best result – at any time, night or day. 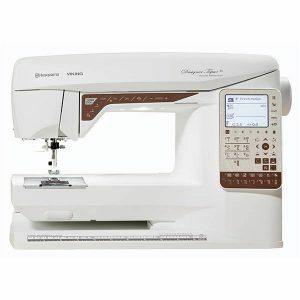 *when compared to Brother Innovis Dream Machine, Babylock Destiny, Janome Horizon MC, and Bernina 830/880. The new thread paths with telescopic thread guides allow you to use all of your favorite threads, even if they are on larger spools. 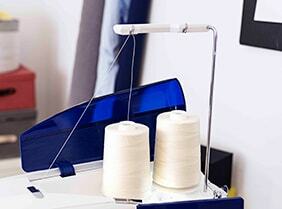 Bobbin winding is more convenient then ever. Simply purchase this wonderful machine online (click on the Add to Cart button above) or come into our store at 850 Lower North East Rd, Dernancourt, 5075 SOUTH AUSTRALIA and we’ll happily give you a demonstration. We ship Australia wide. And it’s FREE! 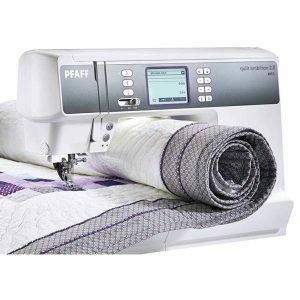 Warranty: All Sewing machines, overlockers and major items are covered by a manufacturer’s warranty, please contact us if you require warranty information on a specific item.